Polka dots have been around forever, as early as the 1920’s. Even Walt Disney chose to dress Minnie Mouse in Polka dots. 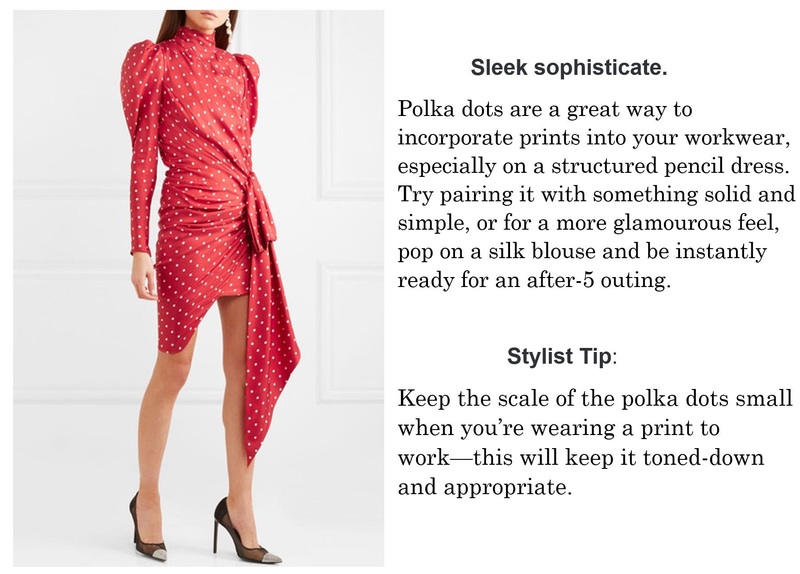 in 1940, the Los Angeles Times promised their readers, ” You can sign your fashion life way on the polka-dotted line, and you’ll never regret it.” Polka dots have had a resurgence of late, and either you like the print, or you don’t. I am partial to it on a smaller scale like the skirt and blouse I’m wearing here and in either black and white. Designers including Gucci, Michael Kors, and more used the print this Fall. How do you all feel about polka dots? This Fall, we’re already seeing spots. Polka dots are popping up everywhere, from skirts and dresses to tops and tanks. The surprise? 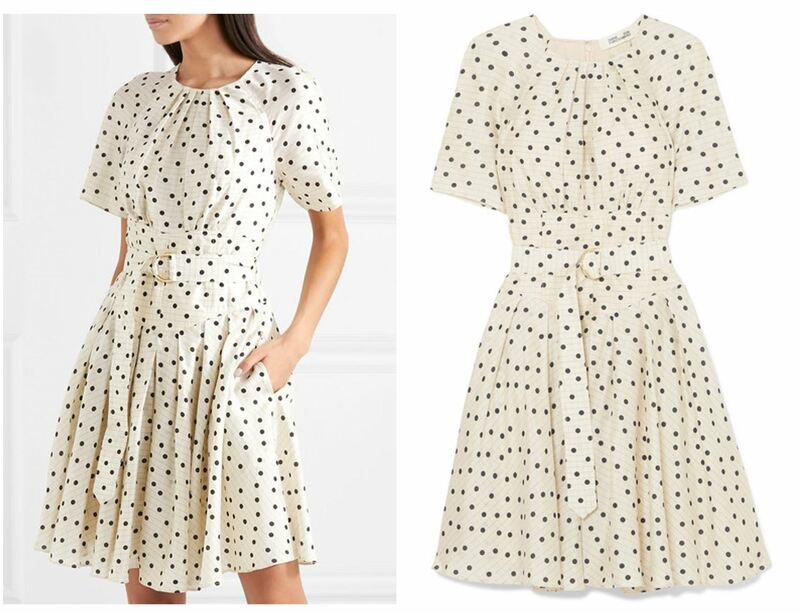 This retro-inspired print is shockingly versatile—not only can polka dots go from work wear to weekend, but from playful preppy styles to edgier ensembles. You look so good in polka dots babe!! You look amazing dear. Lovely picks you have here; sleek and sophisticated has gotta be my favorite. Ughhh super cute and sophisticated! I love it! You’re right about polka dots though, they can never really go out of style. thank you so much for the inspiration! You look gorgeous as always! I love polka dots because they are so nice and cute. You look amazing in yours. I love polka dots! Especially black and white ones. Great tips beautiful! Love your picks! Polka dots are so classic! Love your look here, Len!